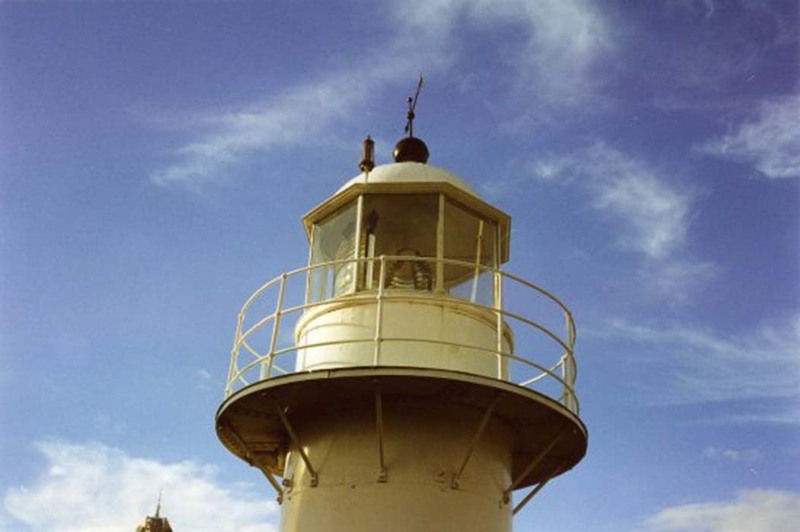 Point Gellibrand Pile Light | Lighthouses of Australia Inc. 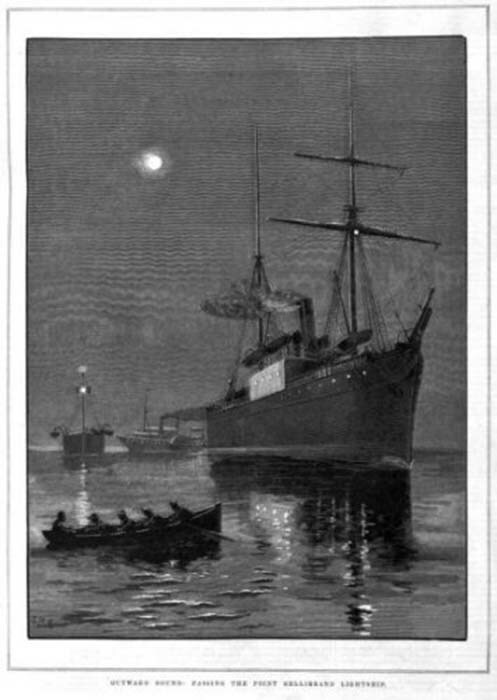 The reef off Point Gellibrand at Williamstown was lit for nearly 120 years by a series of lights, beginning with three separate lightships over the mid-late 1800s, to a pile light which lasted seventy years before it was dramatically destroyed when hit by a ship. The first lightship to mark the reef off Gellibrand’s Point was the former barque New Constitution which the Government purchased in October 1856 for àµ°. It took up station on 25 July 1859. In May 1860, tenders were called for construction of a new lightship off Gellibrand’s Point. 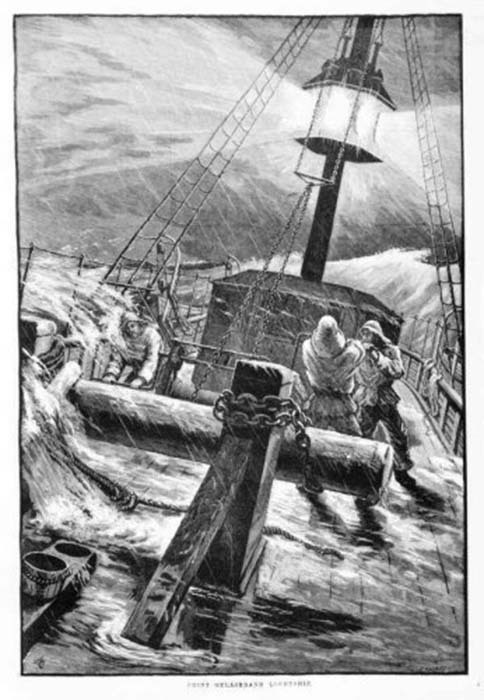 The new lightship consisted of two white lights of equal height, 24 feet apart, and was shown from a temporary anchor in 4.5 fathoms of water. This lightship guarded Gellibrand’s Point reef from 1861 until 1895. This was replaced by a circular iron vessel 36 feet in diameter, painted red and surmounted by a round iron tower painted white showing a red light 38 feet above sea level that was used from 1895 to 1906. It was built using the centre column from the 1859 lightship. The arrangement was unsatisfactory as the vessel regularly broke its mooring by dragging chains and anchors. Ports and Harbours decided to replace the vessel with a piled structure, so they took the vessel into dock and cut off the hull just below floor level then placed it on a barge. Meanwhile, a piled structure was being constructed in 32 feet of water out clear of the reef. It comprised 33 piles up to 70 feet long driven through the clay sea bed down to the basalt shelf. When the piles were driven, the barge was then floated out and the light was then placed back in position, but on top off the piles. This was no mean feat as it was not placed at water level but higher up, some 23 feet above sea level, over the top of the new engine room that was on the first level of the platform. 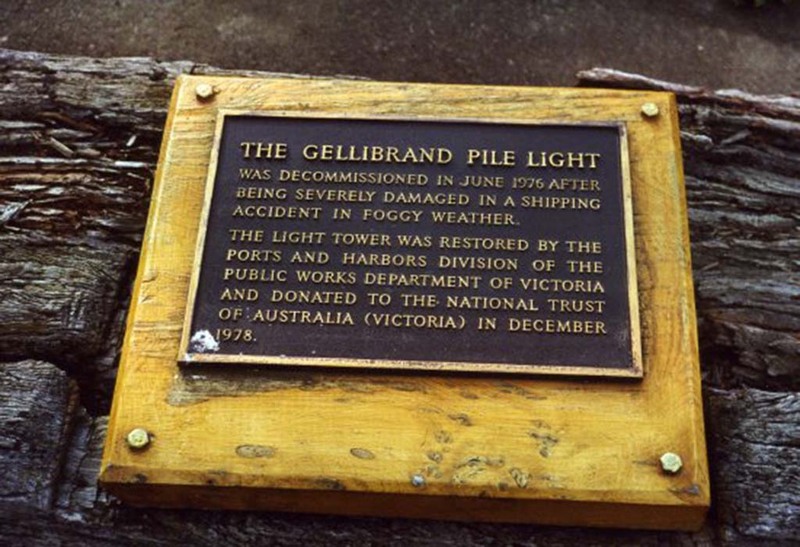 Thus the Port and Harbour Board had effectively recycled the old light vessel into a permanent structure, and the new ‘Gellibrand Pile Light’ commenced operating on 1 August 1906. However, when the piles were driven into the sea bed, they struck solid basalt at 9 feet, and the structure tended to move and sway a bit, so after two months 3000 tons of bluestone blocks were placed around the base of the piles to stabilise the light. 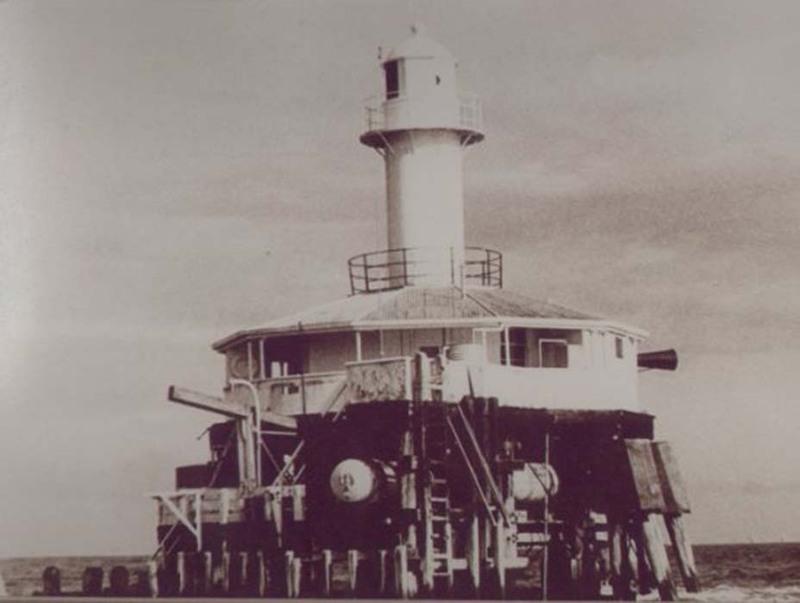 For the next 31 years the Gellibrand Pile Light performed her job of guarding the reef without any fuss. In late 1937, a cable 4200 feet long was laid on the seabed from Breakwater Pier to the Pile Light. This cable provided electricity and telephone to modernise the operations of a very important navigation beacon. The flashing light was then changed to electrical operation on 17 February 1938. A very strong fog horn which could be heard 6 miles away operated in foggy weather. The light was manned throughout its 70-year life, with one long occupancy being the Taylor family – Bill, his wife and two children, June and Max, from 1934 to 1951. 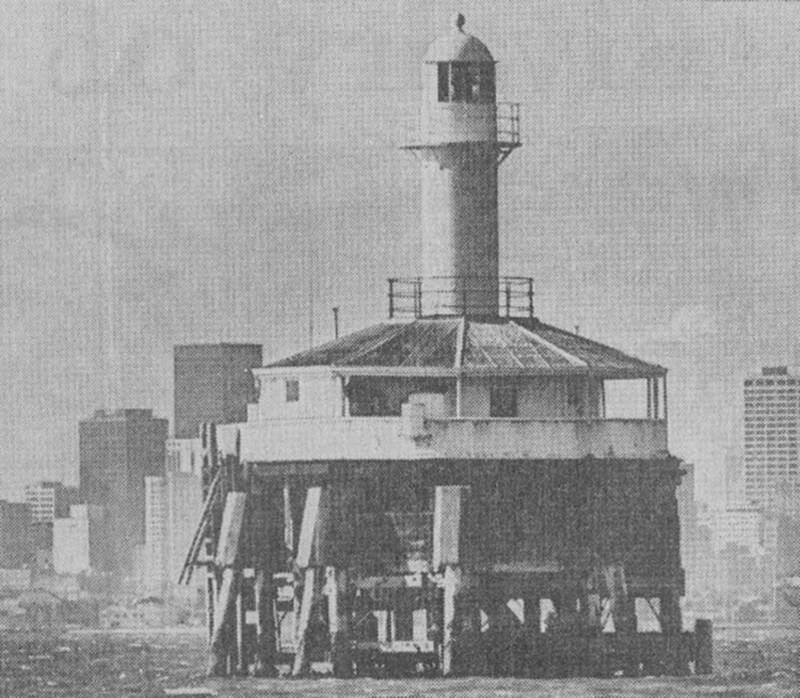 Unfortunately, on the foggy morning of 21 June 1976, the fog horn was not operating, and the pile light was hit by the Melbourne Trader, a vessel of 7,000 tonnes. The force of the collision snapped the piles at waterline area, the light was sheared off its piles at water level, pushed 7 metres (20 feet) sideways, and was left hanging precariously on several of the remaining piles. 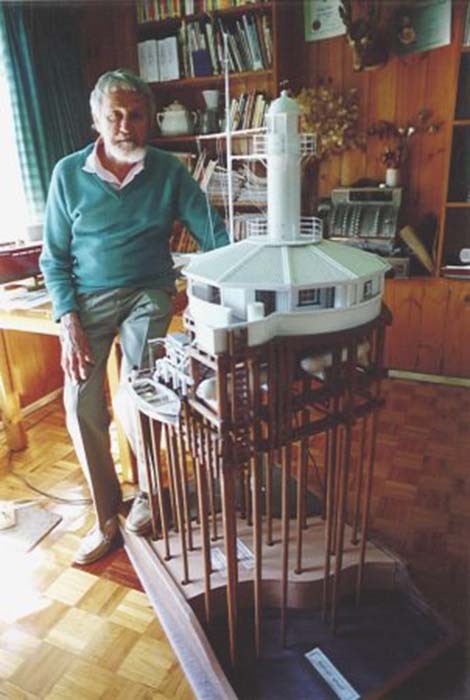 The engine room and lower deck were submerged and the house and light tower were balanced on a knife edge, threatening to topple over into deep water. At the time the piles were 70 years old and their diameter had diminished from 2 feet to about 9 inches in the tidal zone thus reducing the strength of the piles. The sheer weight of the large vessel, which only just clipped the light, was surmount to a large steam locomotive hitting a car on a level crossing. 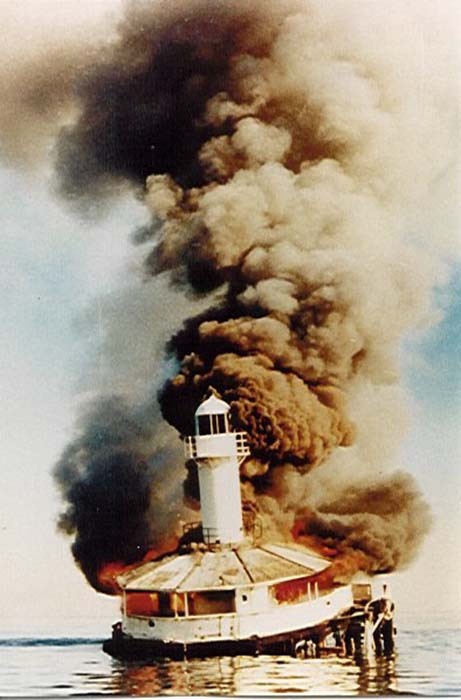 The harbour master of the day was not prepared to risk any of his men to secure or repair the structure, as it was considered to be on the brink of tumbling into the sea, so reluctantly Ports & Harbours gave the order to set fire to it at 11 am on 23 June 1976. Just before the fire was lit, the lantern and dome of the light were salvaged, and were later set up in the maritime museum complex alongside the barque Polly Woodside in the old Duke and Orr’s Drydock at South Wharf in the River Yarra, upstream of the Johnson Street Bridge (now re-named the Grimes Bridge). The lantern room is original with new glazing bars, but the cylinder that supported the lantern is a replica made up by Ports and Harbours, as the original was badly bent in the fire. Today an insignificant steel pile with a solar panel on top provides a light to mark the end of Gellibrand’s Point reef, unfortunately it has not the grandeur of its predecessor. The reconstructed Point Gellibrand lighthouse is located within the grounds of the Polly Woodside Maritime Museum in Port Melbourne. 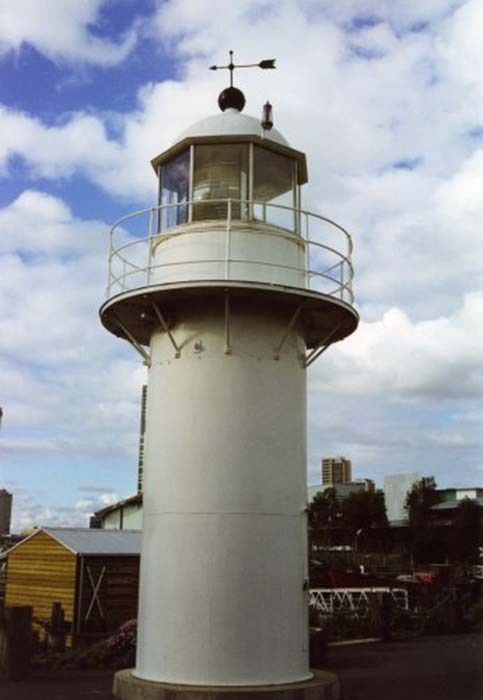 The lighthouse can be viewed from a short distance from the wharves along the Yarra River, or an admission fee is payable to enter the Polly Woodside Maritime Museum. The Polly Woodside museum in Melbourne has the original lantern on display.